We've launched the Official 2018 Crop Over Calendar to help you navigate the festival season. 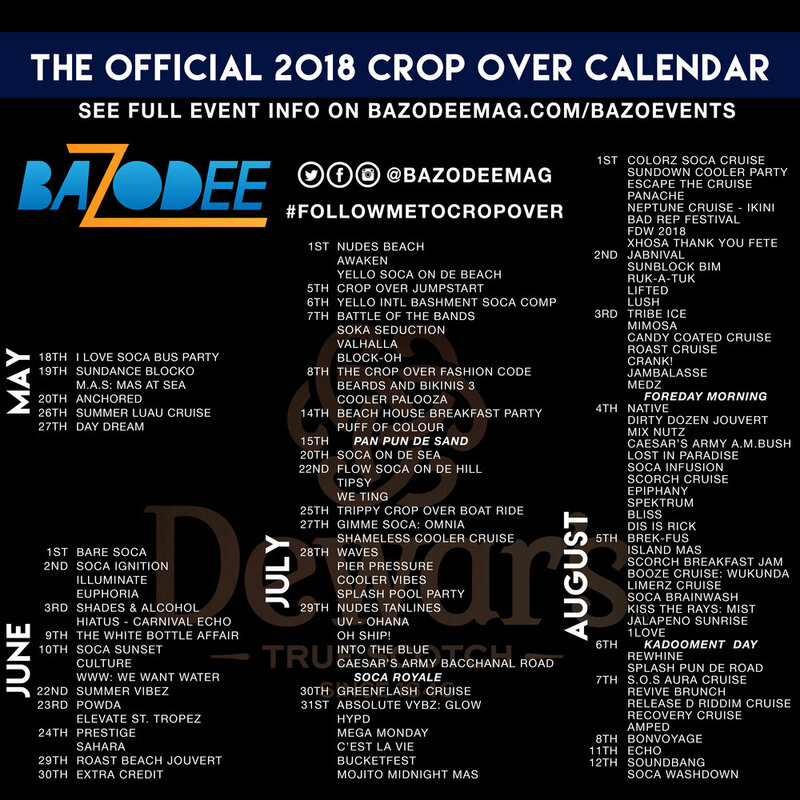 We've compiled a list of all the events for Crop Over 2018 into one handy list. You can see more information about the events over on our #bazoEVENTS page. We have also included the official calendar of the National Cultural Foundation, listing all the main events of the Crop Over festival. Have you decided which ones you'll be going to?